As the cameras on our phones become better and better, more and more photographers are finding that they are taking more if not most of their photographs on their phones instead of their larger cameras. This first in our series of Must Have Photography Apps will focus on camera-based apps for shooting better phone photos. Later articles will cover apps for post-processing and sharing photographs. Major thanks to Steven, our local phone-photography expert, for his guidance and recommendations. See more of Steven's work here http://imaginethis55.tumblr.com/ and http://crated.com/imaginethis . 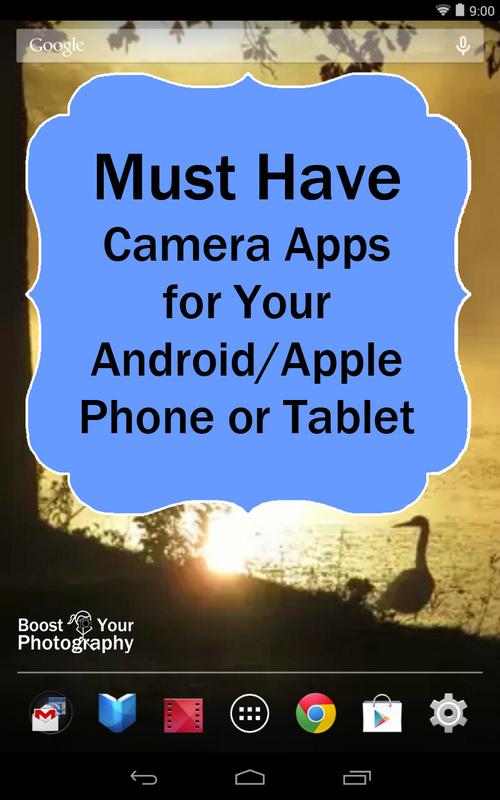 There are many reasons to use a camera-based app instead of the default camera app that came with your phone or tablet. The main benefit to using these apps is that they each offer more options and control when you are shooting. There are both pros and cons for applying effects while you are shooting instead of after. The biggest pro is that you can actually "see" the effect before you take the picture. This is especially handy if you are using the cropping feature - you can compose your photograph using the aspect ratio that you want rather than taking the picture first and hoping you have enough space to crop to the shape you wanted. The biggest con is that you cannot "undo" a filter after you have taken the photograph. (If you take a shot with a bokeh filter, for example, you cannot remove that filter to get a clean version of the shot.) In general, I recommend shooting a "clean" version of your photograph first and then applying filters and effects after. Camera Zoom FX (available for Android phones and tablets, free version and $2.99 premium version) was named Favorite Android Camera App by LifeHacker last month. It has adjustable settings for shooting include focus mode, filters, white balance, a night photography mode, stability control*, timer*, voice activated shutter*, burst mode* (multiple shots in a row), and time lapse. (* are premium-only features.) There are also a variety of effects that you can add even before you take the picture, including frames, textures (most*), and bokeh*. 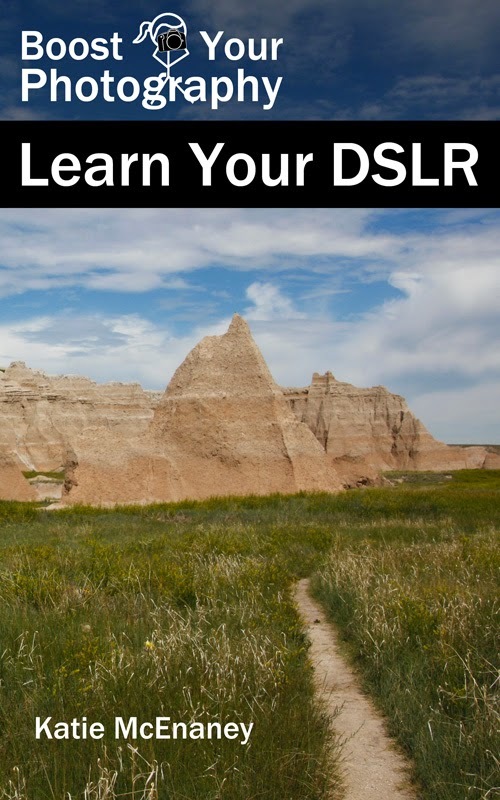 You have the ability to choose an aspect ratio and "crop" your image even before shooting, and you can overlay several grid or horizon options for straight or rule of thirds or golden spiral* shooting. 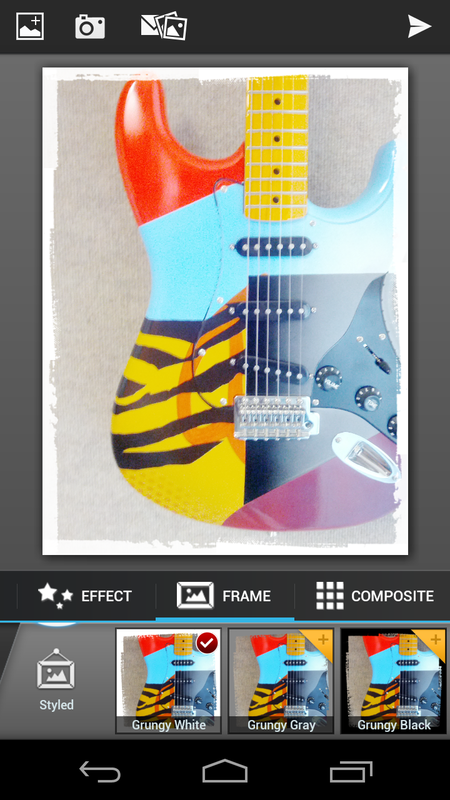 You can also take your picture first and use Camera Zoom FX to process and add effects to your photograph afterwards. You have access to all the features mentioned above (frames, cropping, filters, etc.) as well as a wide range of colors, distortion effects, collage options, and basic photograph correcting options including brightness, contrast, and saturation. You can also download additional "goodies" via in-app purchasing. 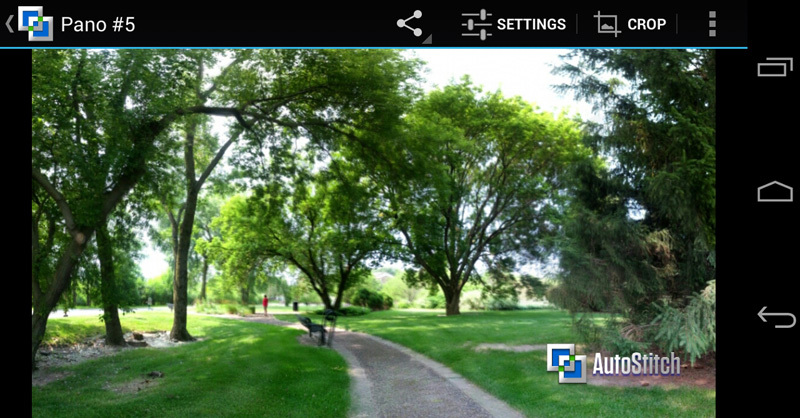 In addition, you can edit photographs stored anywhere on your phone or tablet, not just those taken with the app. Finally, there is a share arrow that allows you to instantly share your photograph through a wide range of social media and other apps. 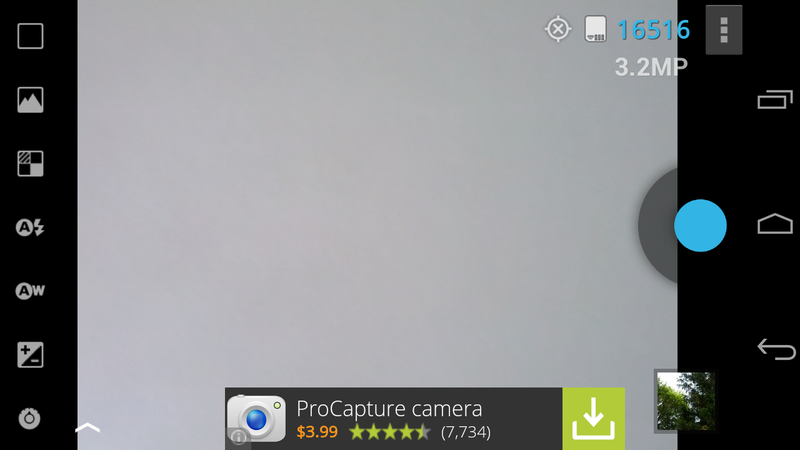 ProCapture (available for Android phones and tablets, free version and $3.99 version) is another flexible app that allows you to take photographs through the app. It has adjustable shooting modes including timer, burst mode, reduced noise, wide shot (stitches 3 images for a wide angle look), and panorama. You can also shoot with color effects added, adjust the white balance and choose a different exposure (plus or minus 2). The premium version includes touch to focus (Android 4.0+), higher resolution images, and eliminates the tiny pop-up adds in the bottom right corner of the free version. If you can ignore the ads, the free version is a good place to start with this app. (I have the free version only, as I have an older device so cannot use the 'touch to focus' option anyway.) You can share photographs directly from the app to other social media apps and accounts. Unlike Camera Zoom FX and Camera+, ProCapture does not offer other post-processing options. If you want to edit your photographs after you take them, you will need to use a dedicated processing app. Camera+ (available for iPhone for $2.99 and iPad for $4.99) is a top-rated camera app for Apple users. There are 16 different shooting modes available to help you plan your shot, as well as the option to add flash, digital zoom (6x), or superimpose a grid for straight lines or rule of thirds accuracy. You can also use touch exposure and focus to lock exposure and focus separately. After taking your picture, there are also many post-processing options available in "The Lab", like in Camera Zoom FX. You can adjust white balance, add sharpening, rotate or straighten, crop, fix red eye* (* iPad only), and add many different cool effects including frames, vignettes, and other overlays. There are also several border designs available, and you can type in your own captions. Finally, you can also share photographs directly from the app via email or other social media apps. Tips for stitching: you want your photographs to overlap at least 30% if not 50%. (The Apple version of the app provides a little viewing window of the previous picture to help you align them.) Subjects that are still work the best. Moving subjects, like flowers blowing in the window, often create an effect called "ghosting" where slightly different versions of the same flower from multiple pictures will appear in the final panorama. Take your photographs all the way across your field of view before moving up or down to take the next set. You are much less likely to miss a shot than if you are simply panning all about and shooting. 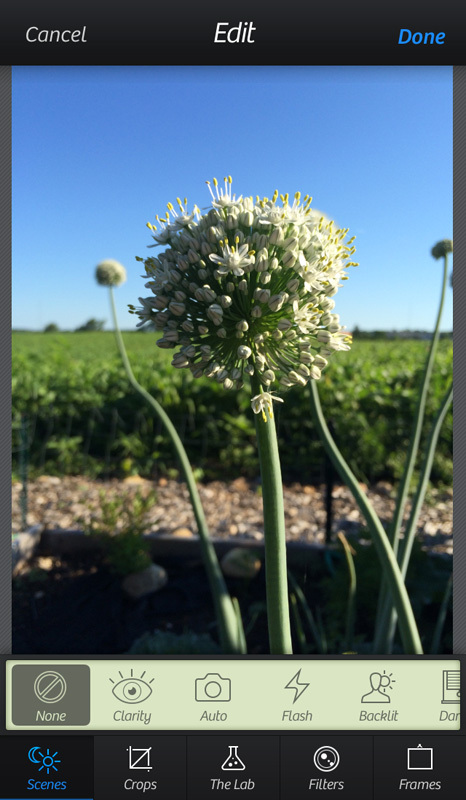 Do you use the default camera app for your phone photographs? Do you have a favorite camera app that we missed? Let us know in the comments! And stay tuned for the next article in this series, when we investigate post-processing apps.